This Viper Italo model is built with a satin finished M390 blade and a green G-10 front scale. 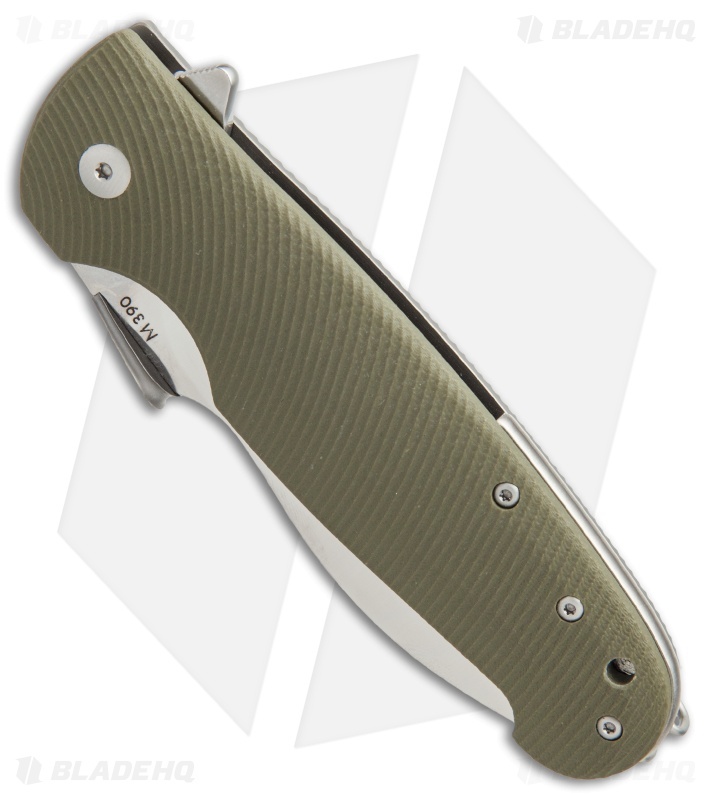 The Fabrizio Silvestrelli designed Italo features a unique blade style made from durable M390 steel with a full-flat grind. 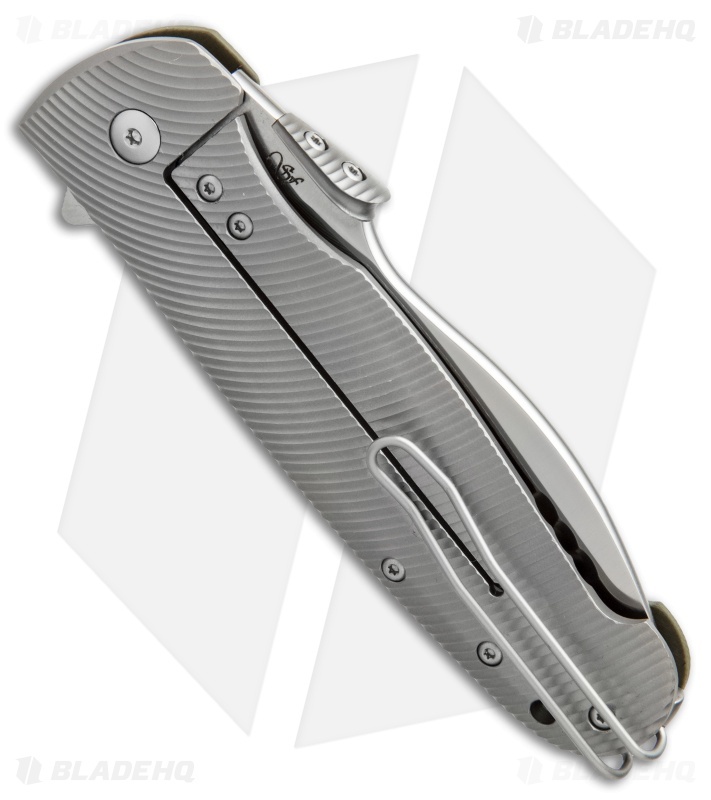 A smooth ball bearing pivot makes blade deployment a snap using the prominent thumb plate or flipper opener. Its titanium frame lock handle is comfortably contoured and machined with a deep grooved pattern for uncompromising grip security. 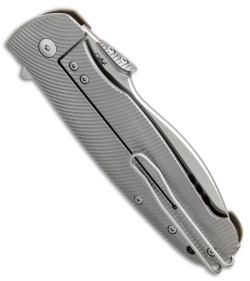 The Italo is equipped with a deep-carry wire clip, allowing discreet tip-up pocket carry. M390 blade steel provides superb resistance to wear and corrosion. 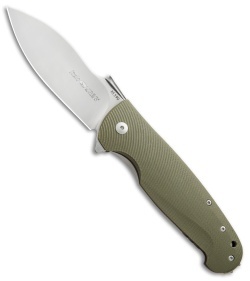 Titanium frame lock build offers high durability and low carry weight. 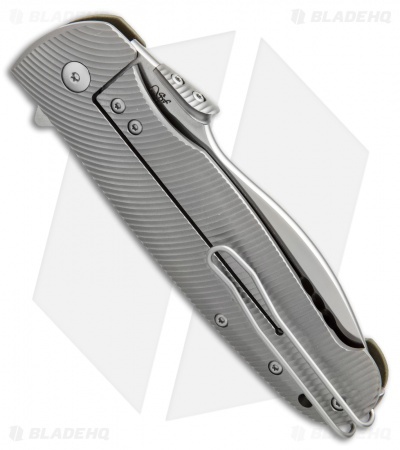 Ball bearing pivot ensures blade deployment is quick and responsive.